Get a healthy looking skin with the Skin Clinic Mask. 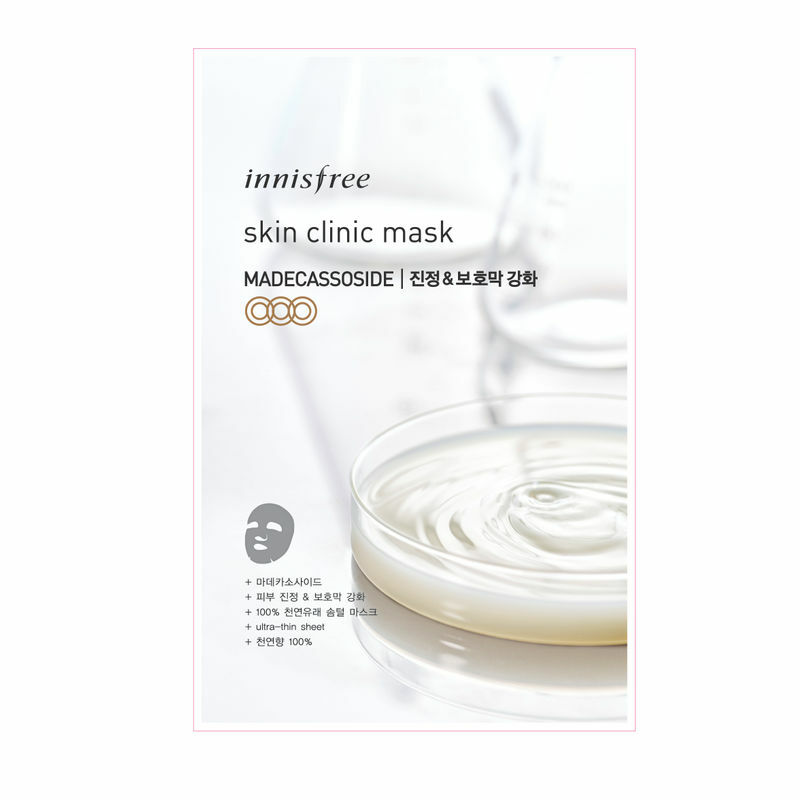 This fine delicate cotton mask contains Madecassoside to soothe your irritated skin due to moisture loss and to help fortify skin barrier. It contains Madecassoside, which soothes the skin and strengthens the skin barrier, which can soothe skin that's become irritated and sensitive caused by a lack of moisture, to leave the skin moisturized and healthy.